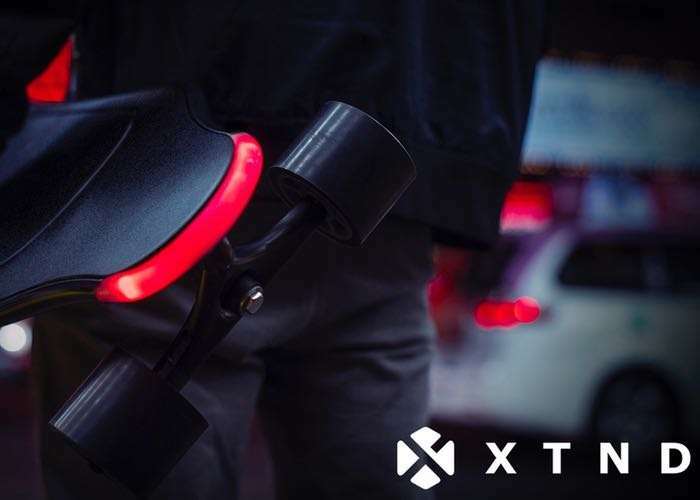 A new electric skateboard has been created by XTND based in Los Angeles, California the form of the XTND Board. A lightweight and intelligent electric vehicle that “redefines urban transportation” say is developers. 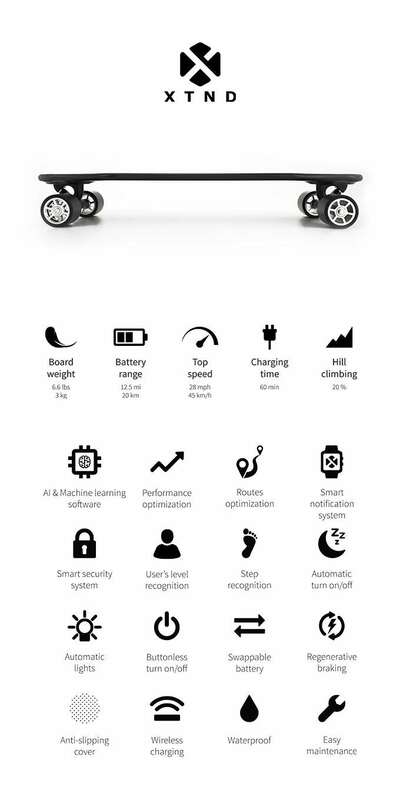 Watch the demonstration video below to learn more about the new electric skateboard which is equipped with artificial intelligence, which provides a range of 20km a top speed of 45km an hour and a charging time of just 60 minutes. Our first product, the XTND Board, is the first intelligent electric board that is exceptional in every way. Our aim is to make it better on every level, not just thinner or lighter. The electric board of tomorrow is here today. Be the boss of your own time. We give you the ultimate vehicle for urban commuting that will take you anywhere and anytime you want. No more traffic jams. No more problems with parking. No more bus schedules. Life’s too short to be stuck in traffic jams. We want to help make our cities better, smarter and healthier places to live, which is why we have completely redesigned the concept of electric boards to make urban commuting as efficient and fun as possible. The XTND Board is not only the lightest electric board, it’s also the smartest. Meet the world’s first electric board with artificial intelligence. The board’s artificial intelligence allows it to collect data about the way you ride, evaluate it, and then create unique settings to adapt to your style. This ability to recognize your riding level means that you don’t need any special skills to ride it because the board itself will teach you and look out for you while you learn. For example, if you’re standing on it incorrectly, it won’t move so that you can’t accidentally hurt yourself. For more information on the new XTND electric skateboard jump over to the Kickstarter website for details by following the link below.